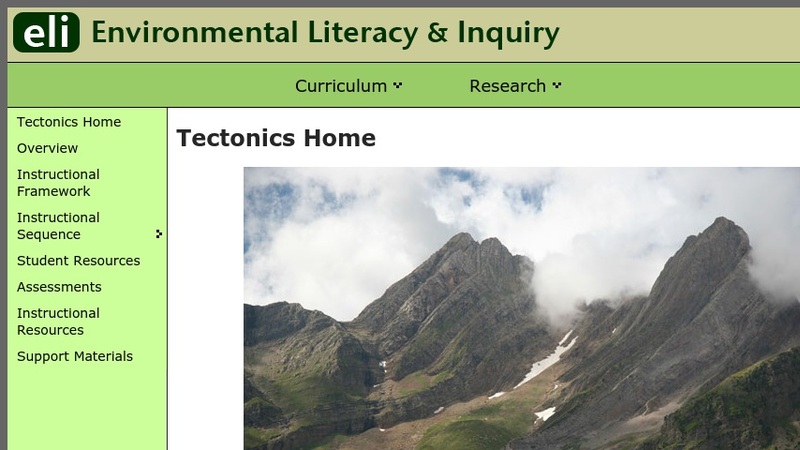 Tectonics is a series of geospatial investigations designed to augment existing middle school Earth science curriculum. Students use Web GIS to investigate important tectonics concepts. The investigations include scientific practices, crosscutting concepts, and core ideas from the National Research Council (2012) Framework for K-12 Science Education. Students will explore six questions: 1. What geologic hazards exist near me? Which plate boundary is closest to me? 2. How do we recognize plate boundaries? 3. How does thermal energy move around the Earth? 4. What happens when plates diverge? 5. What happens when plates move sideways past each other? 6. What happens when plates collide?